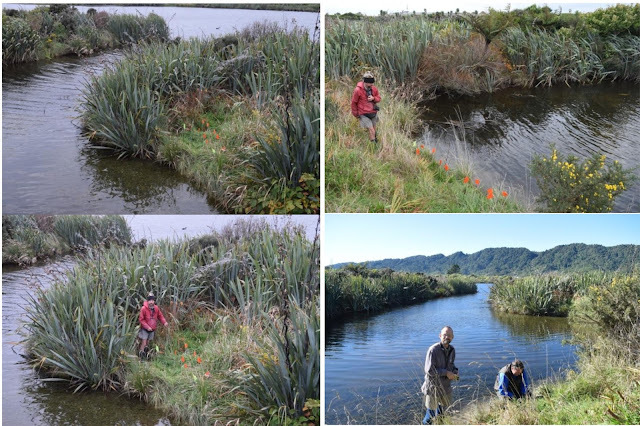 An assessment of the Cobden River floodplain area and Aromahana Lagoon shoreline habitat for īnanga habitat showed the restoration project has made great progress. Two spawning sites were found immediately upstream of its outlet under the road, on both left and right banks. These are new records and although small in area are likely to see repeat use. They will be also be good demonstration sites to engage the public and should be monitored to ensure the condition of the vegetation is suitable.